In this picture installing a new gas tank. Poured 4 lbs of rust out of the old one. This car needs a lot of work. Its a silver special car. It has the original numbers matching 383 and trans. 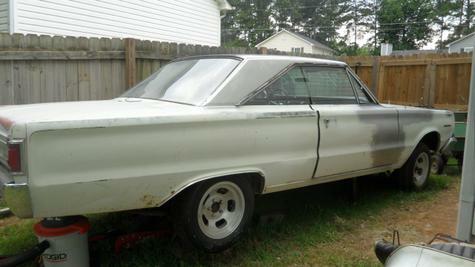 Floor pans and roof need repair I bought a new roof off of a 66 Coronet but dont have the cahonies to cut my roof off.